As an individual or business owner, you likely pay large premiums for insurance. As a result, you expect your insurance company to act in good faith when you file a claim. Unfortunately, insurance companies often delay and deny paying claims. Sometimes, they even reject the validity of a claim without a legitimate reason or explanation. Insurance policies are difficult to understand. With the language of their contracts and specific deadlines set, attempting to handle this sort of case on your own can lead to frustration and disappointment. 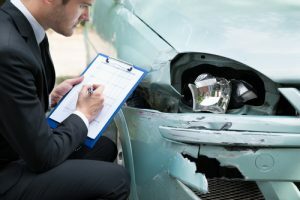 These laws are complicated, so you will want to hire a local Houston insurance attorney to help you file an insurance dispute. Disputes often arise about the amount due on a bill, the amount a company paid, or the denial of a claim. The law requires insurance companies to process claims quickly, but that does not always happen. Your insurance company cannot ask you to fill out unnecessary forms in an effort to delay the payment of a claim. If the insurance company has a legitimate reason to delay or deny your claim, they must explain the reasoning to you promptly. At the Law Office of D’Ann Hinkle, our insurance dispute agents can help you recover the money to which you are entitled. D’Ann Hinkle has 25 years of experience working as a Houston insurance attorney. Our team will review your insurance policy and assess your claim. Some insurance companies deny claims regularly and will only investigate a dispute if the policyholder seeks legal counsel. We know how the legal system works in Texas and can help guide you through the process. If you or a loved one is dealing with an insurance dispute, contact the Law Office of D’Ann Hinkle to consult your case and discuss your next step. We want you and your loved ones to receive the compensation you deserve. Serving Houston, Pearland, Cypress, Tomball, Spring, Jersey Village, Katy, The Woodlands, Clear Lake, Humble, and surrounding areas.